Discover the true nature of celestial objects ! 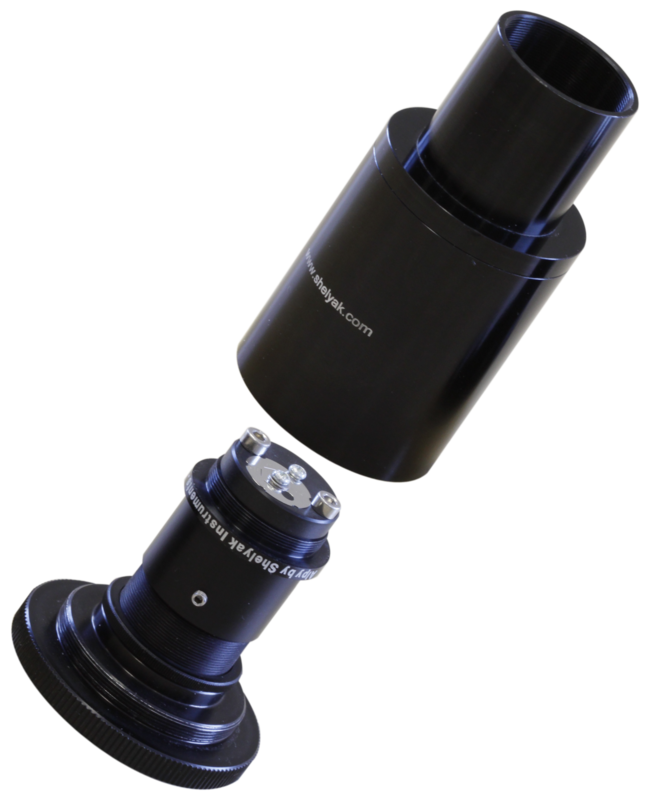 The Alpy 600 is ideal to get started in astronomical spectroscopy, and run high quality observations. 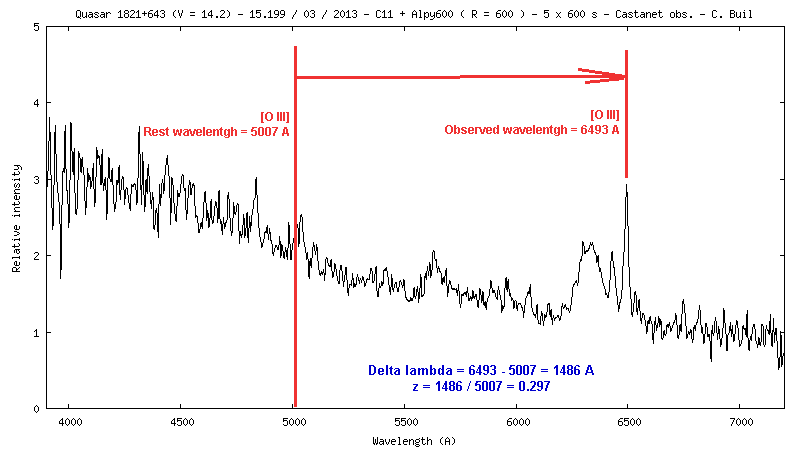 The Alpy 600 opens the doors to Astrophysics : explore different types of stellar objects (stars, galaxies, nebulae, planets, comets, and more), compare the different spectral types, observe absorption and emission lines, see how (some) stars evolve from one day to the other – the possibilities are limitless. 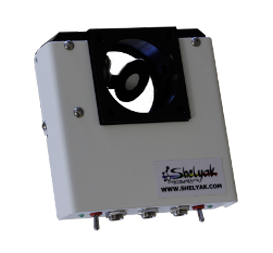 The Alpy 600 is performant, modular, compact (few cm long), and easy to use slit spectroscope . 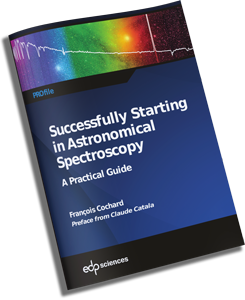 These specifications make it ideal to get started in astronomical spectroscopy… but not only. This real scientific instrument, and will be with you for a long time. 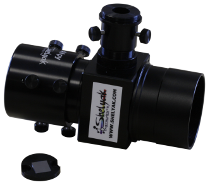 Its Resolution Power (R=600) allows it to cover all the visible domain and even more (from 375nm in the near UV to 750 nm in the near IR). 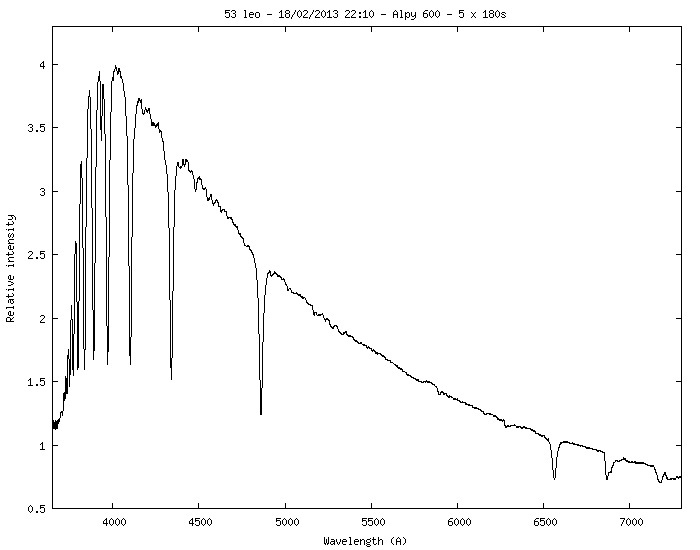 You will be able to distinguish many details in the spectral profile. The resolution is of 1nm. The dispersing element is a grism, that is the combination of a prism and a diffraction grating (600t/mm). 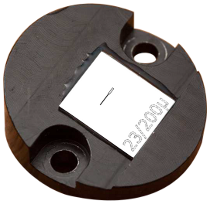 The slit allows to isolate a fringe of the light source. 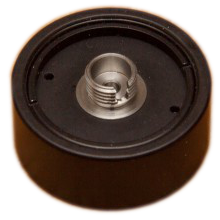 It brings several advantages: we isolate the object which we wish to observe, we can work on extended objects (nebulae, planets), we can make spectra of calibration light… thanks to the slit, the quality of the spectrum becomes independent from observing conditions (seeing, problems of telescope tracking, and so on). Alpy 600 is delivered with several exchangeable slits (see photo on the left), to cover numerous situations of observation. 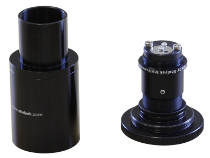 The compactness and the lightness of the Alpy 600 make it compatible with small instruments (telescope from 80mm of diameter), on modest mounts. You will reach faint objects in a few minutes (even a few seconds) of exposure time. 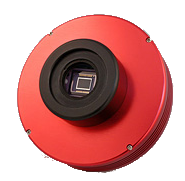 The optics of Alpy 600 was specially designed to give the best image quality, on the whole visible domain, with a large aperture ( F/4). 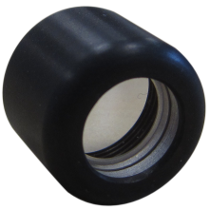 You will be surprised with the quantity of information you can extract from a so small spectroscope! 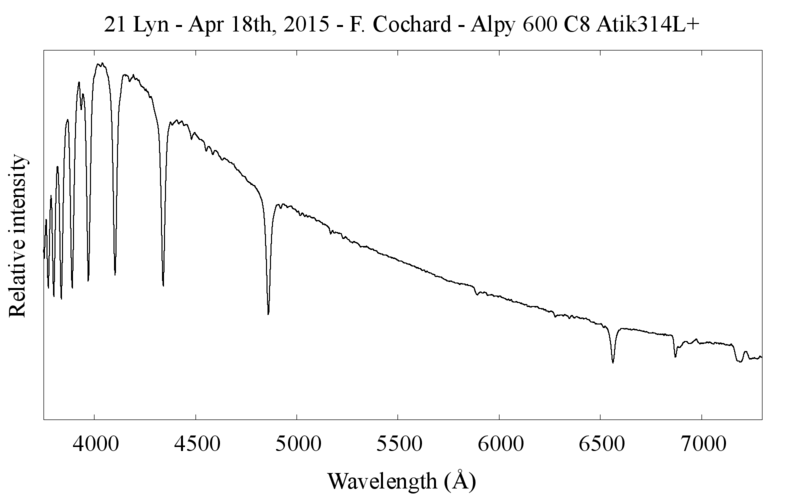 This quality is such as numerous scientific publications are based on observations with the Alpy 600. 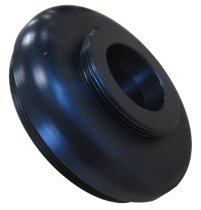 Alpy 600 is robust, almost not sensitive to the temperature variations, and requires few tunings. 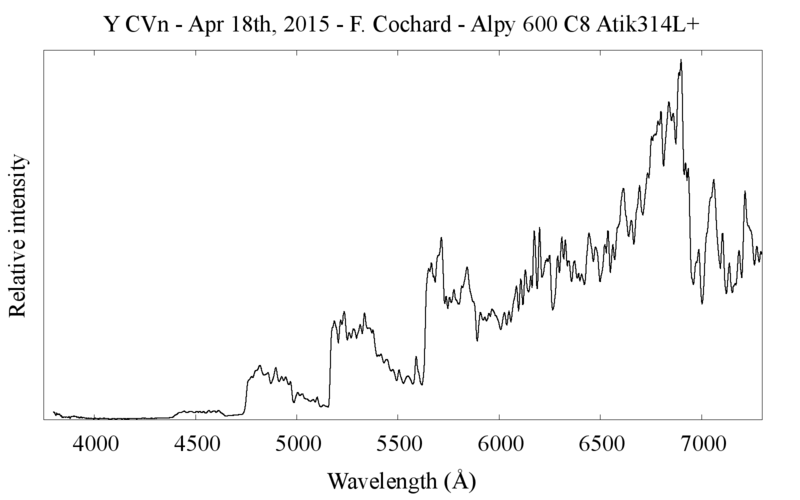 It makes a spectroscope easy to use, to obtain quickly spectacular results. The usage is still simplified thanks to the (free) Demetra software. This software helps you during your observations from the acquisition up to the reduction of data. Alpy 600 is modular, that is he can be used of various manners. 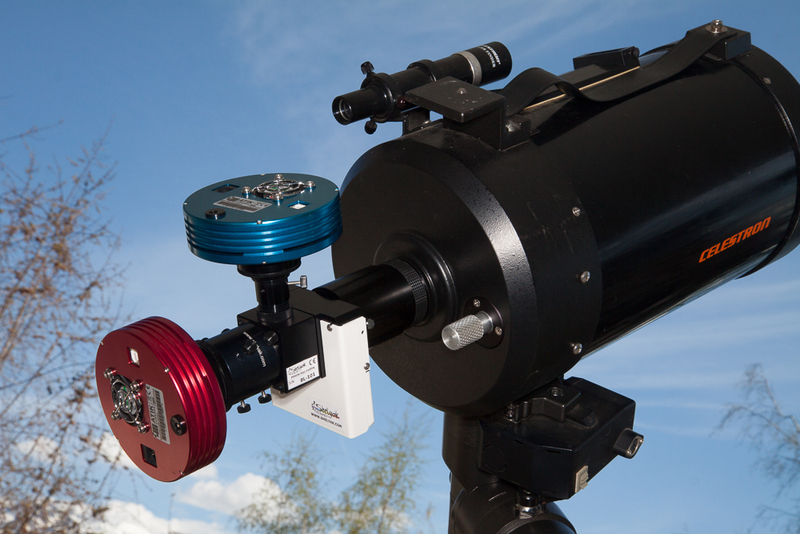 Visually (during daylight), with a Digital camera (DSLR), with a CCD camera, on a table or behind a telescope, the possible configurations are numerous, and the interfaces are standard. 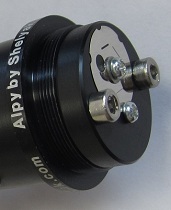 The Alpy 600 can completed by two optional modules: the guiding module and the calibration module. 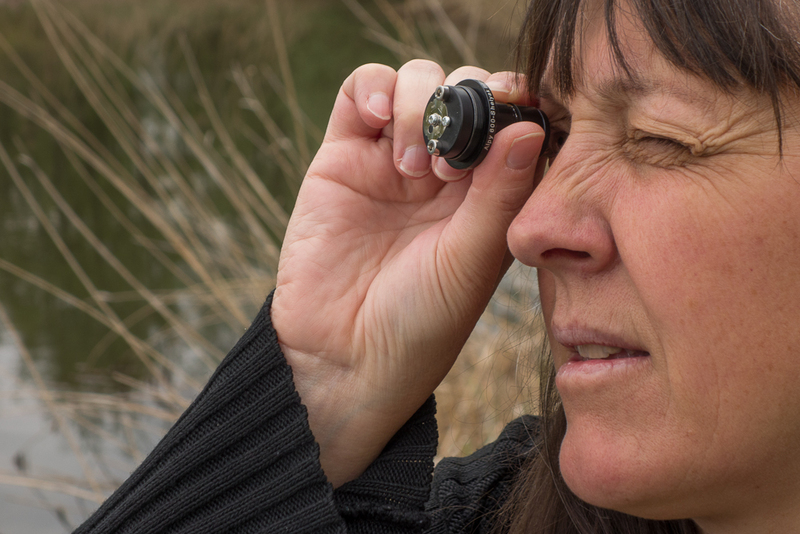 The purpose of the guiding module is to visualize the telescope field of view, and thus to select, then to track the star you want to observe. 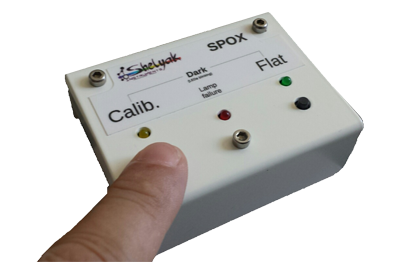 The calibration module allows to make spectra of flats and calibration lamp (Argon-Neon), to make a quick and precise wavelength calibration of your spectra. 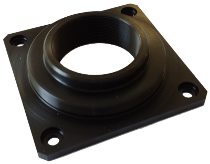 We recommend the camera Atik 314L + (mono) for the spectra acquisition with Alpy 600, but any camera with sensor of 14mm (or more) and a mechanical backfocus of 20mm maximum will do. 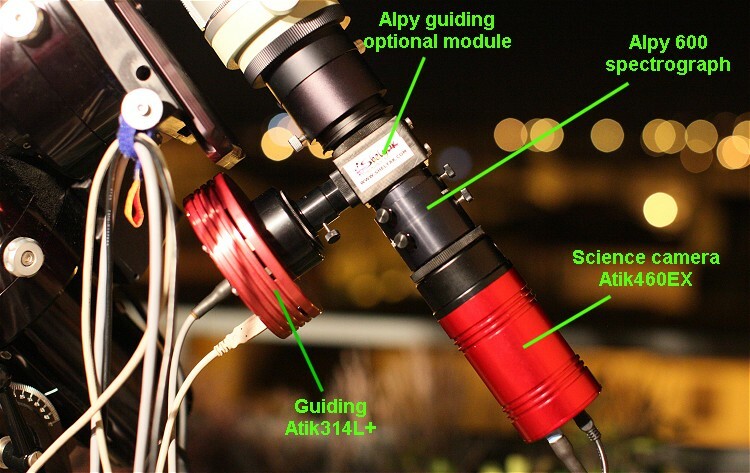 The Alpy 600, with the guiding module and calibration module, on a 203mm telescope.